Ron Hubbard, the Founder of Scientology said “Writing for a penny a word is ridiculous. If a man really wanted to make a million dollars, the best way would be to start his own religion.” We all know the rest of that story. Although today’s evangelists have not been as creative as Hubbard in starting their own religions, many are definitely capitalizing on and profiting from mainstream religion as well as the New-Thought Spiritual Movement. Both sides emphasize prosperity, but prosperity as originally intended has now taken on its own form of religion in terms of worshipping the almighty dollar. And that new prosperity is a highly profitable business. 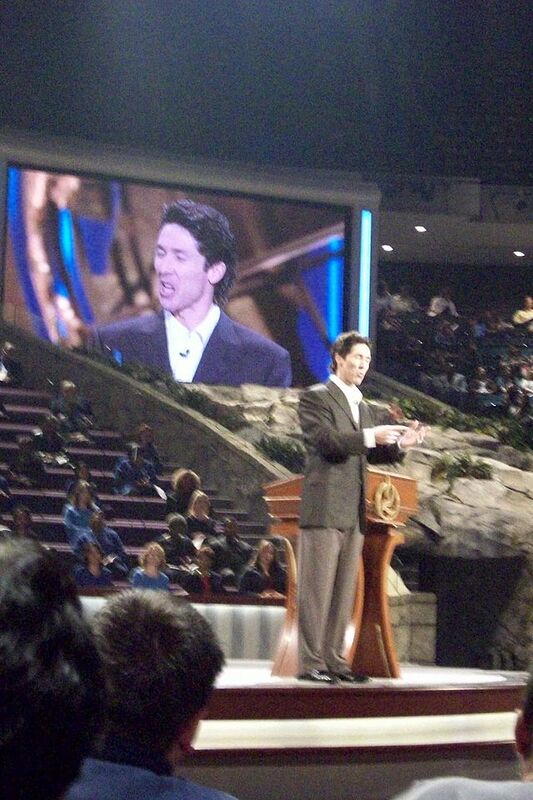 Examples abound everywhere: Joel Osteen of Houston’s Lakewood Church, with his 10.5 million dollar home and mega-million dollar businesses; Creflo Dollar of Atlanta who just days ago asked his parishioners to “donate” $60 million for a new jet for him; John Hagee of John Hagee Ministries in San Antonio, Texas, Founder of Cornerstone Church, reportedly one of the wealthiest men on this planet; Kenneth Copeland, one of the leaders of the Charismatic Movement, who has his own private airport and built a religious empire by teaching that God wants his followers to prosper (he and his family certainly have as billionaires), Oral Roberts, Pat Robertson, Paula and Randy White, Benny Hinn, “Bishop” Jordan—the list goes on and on. Join Barb Adams and John J. Higgins as they discuss lifestyles of the rich and famous with Tele-Evangelism and Prosperity in America. Joining Amerika Now during the second hour is the Editor of The Good Men Project’s Dad and Families page, Rob Watson. He joins the show to discuss the changing roles of fathers in today’s society as well as LGBT rights and parenting issues. Today’s modern-day dad comes in various forms. No longer always the traditional breadwinner and disciplinarian in the household, today’s father can be married or single, employed outside of the home or be stay-at-home, straight or gay, or be an adoptive or step-parent. Regardless of which “form,” the American Psychological Association says today’s fathers are capable caregivers. The APA’s psychological research across families and ethnic backgrounds suggests a father’s affection and increased family involvement helps promote positive social and emotional development in children. 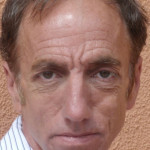 Rob Watson is the Editor of The Good Men Project’s Dad and Families page as well as being a writer and pundit on LGBT and parenting issues. He is a regular contributor to the Huffington Post, LGBTQ Nation, Gay Star News, The Next Family and is one of the founders of the blog evolvequals.com. Rob also co-hosts the radio show “Out in Santa Cruz” on AM radio in California and “A Gay Dad Coffee Chat with Rob Watson” on the web. He lives in Santa Cruz, California, with his partner and his two sons. For more information, visit http://goodmenproject.com/search/?q=rob%20watson or evolvequals.com. CALL 800-259-5791 TO SPEAK WITH ROB WATSON. 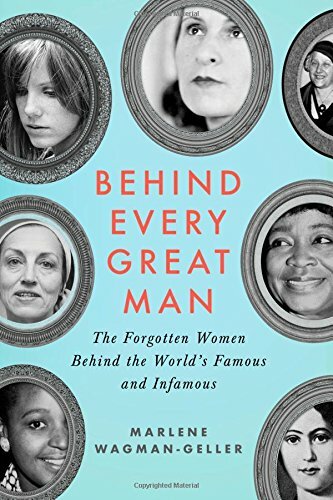 Author/writer Marlene Wagman-Geller joins the show during the final hour to discuss her latest book, Behind Every Great Man: The Forgotten Women Behind the World’s Famous and Infamous. Who said men get to monopolize all the glory? From ancient times to the present, men have gotten most of the good ink. Yet standing just outside the spotlight are the extraordinary and often overlooked wives and companions who are just as instrumental in shaping the destinies of their famous, and infamous, men. Join Marlene Wagman-Geller as she discusses some of the 40 women in her book who were overshadowed by the alpha males in their lives, yet merit their own place in the annals of history. Meet the untold half of history, including literary wives Constance Lloyd (Mrs. Oscar Wilde) and Ann Charteris (Mrs. Ian Fleming); Hollywood wives Alma Reville (Mrs. Alfred Hitchcock) and Jane Nebel (Mrs. Jim Henson); political wives Kasturba Kapadia (Mrs. Mohandas Gandhi) and Emilie Pelzl (Mrs. Oskar Schindler), and infamous wives Ethel Greenglass (Mrs. Julius Rosenberg) and Ruth Alpern (Mrs. Bernie Madoff). Marlene Wagman-Geller is the author of several books, including Once Again to Zelda: The Stories Behind Literature’s Most Intriguing Dedications, Eureka! : The Surprising Stories Behind the Ideas That Shaped the World, and And the Rest if History: The Famous (and Infamous) First Meetings of the World’s Most Passionate Lovers. Her books have been reviewed in The New York Times, Chicago Tribune, and Washington Post. Wagman-Geller received her BA from York University and her teaching credentials from the University of Toronto and San Diego State University. She currently teaches high school English in National City, California, and lives with her family in San Diego. For more information, visit http://www.marlenewagmangeller.com. CALL 800-259-5791 TO SPEAK WITH MARLENE.